Yukio Kagayama will replace Kenny Roberts Jnr in the factory Suzuki MotoGP team at the next two rounds; in Qatar ,on October 2, and Malaysia on October 10. Roberts must have his left arm strapped up for at least three weeks following the first corner crash at Motegi on September 19. The American's arm was trapped under Max Biaggi's fallen bike. He is likely to miss the next three rounds (including Phillip Island), returning for the final GP at Valencia on October 31. Kagayama finished the British Superbike championship for the Rizla Crescent Suzuki team last weekend, finishing third in the final standings with race wins to his name. 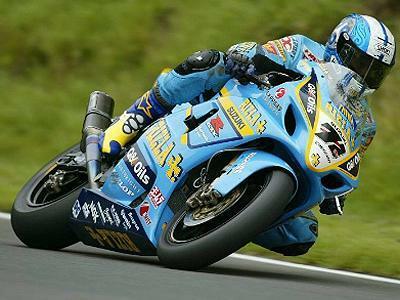 He previously stepped in for the Suzuki MotoGP team last year at the Donington and Assen rounds. Former World Superbike rider and GP test rider Gregorio Lavilla is most likely to step in for Roberts Jnr for the Phillip Island round.